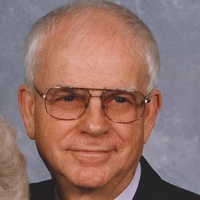 Walter Jeffers, 89, died Wednesday, March 6, 2019 at Roane Medical Center in Harriman. Born in Norma, Tennessee, Walter was the son of the late Oliver and Linda Lloyd Jeffers. He was a graduate of Norma High School, Class of 1948. Walter enlisted in the U. S. Army where he served four years, including one year in the Korean War. He received a BS Degree and MS Degree from Tennessee Technological University. Walter was a teacher. In 1990, he retired from the Rhea County School System and was elected to serve on the Rhea County School Board. Walter was active in the community serving on the Spring City Library Board, the Rhea County Library Board as Chairman and the United Way. He was a member of First Baptist Church in Spring City for more than 50 years and served as a Sunday School teacher for more than 40 years. Walter also served as a deacon, treasurer, trustee and representative to the Tennessee Valley Baptist Association or wherever he was needed. He was preceded in death by his brothers Paul, Floyd, Virgil, Earl and Clovis Jeffers, sister Maggie Jeffers Newport and son-in-law John W. Toliver Jr. Survivors include his wife of 65 years, Joyce M. Jeffers of Spring City, daughters Walta J. Toliver of Dayton and Marla (Charles) Smith of Franklin, Tennessee, grandsons John W. (Sarah Marie) Toliver III of Clarksville, Tennessee and James Walter (Sarah Kathleen) Toliver of Harker Heights, Texas, great grandchildren John W. Toliver IV, RuthAnne and Jeremiah Toliver of Clarksville and Addelynne Toliver of Harker Heights and brother Claud Jeffers of Norma. A graveside service will be held on Sunday, March 10, 2019at 3:00 pm in the Spring City Cemetery with Rev Brian Priceofficiating. The family will receive friends Sunday from 1:00 pm to 3:00 pm at Vaughn Funeral Home. In lieu of flowers, memorials may be made to Spring City Fire Department, c/o Town of Spring City, P. O. Box 369, Spring City, TN 37381 or the Spring City Cemetery Maintenance Fund, P. O. Box 129, Spring City, TN 37381.